Well, I'm strictly guessing -- hoping -- how about releasing Kronos with all Korg libraries included, faster start-up, better quality control, get rid of the wood ends, make it as light as possible, 73/76 semi-weighted. Ohhh, maybe in my next life. I have wanted a K3 or better for a year or 2. There are several hundred A stock K2's in retail inventory. Maybe more. And SW has a bunch of B stock K2's. The MSRP has not budged 1 penny. IOW , no price reduction. Lets consider, a new K type W/s. What do you think will happen to all those K2's in the retail channel ? No one will buy the old K2. Everyone plays wait and see. Retailers are skunked. Korg doesn't allow that to happen. They support the retailers during any expensive product transition. So, my take is no new K. Not now. Sorry. Thats my take from the above. then have different sections with the same in the menu. hybrid the analog and digital with full midi. I wouldn't hold my breath. Could be anything... honestly. And why would Korg Australia be the one to hint at a major new Korg (maybe workstation) release. Australia is certainly one of the less profitable areas in the world, at least for this sort of market. Anyways, we will find out soon. agreed. I am not a believer of 'tease marketing'. Esp a low cost Instagram blurb. I would pay more attention to the larger marketplaces, such as the US. Korg US is pitching the Switch or Gadget. Available in a few days. I wouldn't hold my breath. Could be anything... honestly. And why would Korg Australia be the one to hint at a major new Korg (maybe workstation) release. Australia is certainly one of the less profitable areas in the world, at least for this sort of market. ...which leads me to believe it may be a big regional sales promotion and nothing more. A KRONOS replacement is very unlikely for the reasons Greg already outlined, and an ARP 2600 would not be a smart move considering Behringer already has teased it. I doubt that KORG is able to undercut Behringer's price. Posted: Tue Apr 24, 2018 6:38 pm Post subject: Korg Kronos has availability problem in Chicagoland! I agree a new flagship workstation to replace Kronos2 is unlikely--but the assertion that there are lots of Kronos2 in stock is....hard to believe! If they are around--they are NOT in Chicagoland! I had to drive way out to the suburbs of Chicago to find a store that had even ONE Kronos2 on the sales floor! Guitar Center stores in Chicago and suburbs have ZERO Kronos2 and KronosLS boards available. *Why are no Kronos2's available in Chicagoland? (are they being discontinued? Are retail music stores not carrying Korg keyboards much anymore??? Korg has a distribution problem! at least in chicago! Posted: Tue Apr 24, 2018 7:22 pm Post subject: Re: Korg Kronos has availability problem in Chicagoland! LOL. Maybe the retail stores in chicago are the problem. GC hasn't carried many high priced w/s in years. Fergettabout GC carrying a Kronos. Go order GC online if you like. That works perfect. Maybe more. I am 100% positive. You can find Fort Wayne Indiana. If anyone has an LS, it would be them. Yes, thats a newer off shoot of the K2. There are Several LS on eBay. And there are several dozen new K2's on the bay. Gadget on Switch is my guess, it's being teased on the Korg au site news. 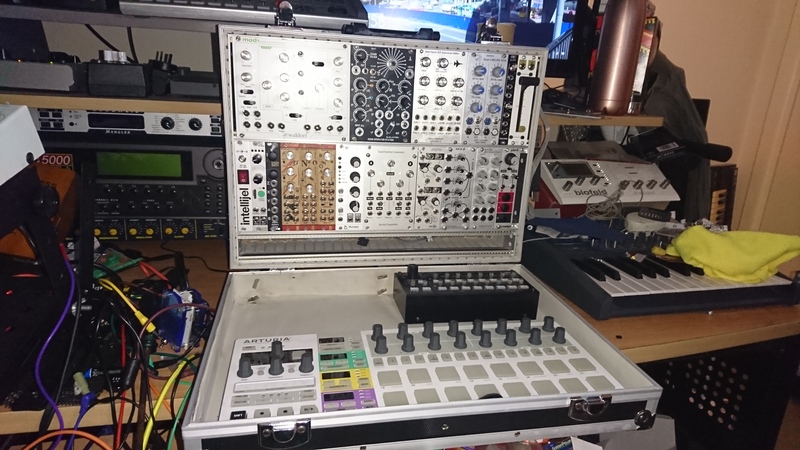 That or maybe they might be doing a workshop tour downunder, as that's something we never get out of synth companies....but I doubt it, what are they going to do workshops on? That would be something small.. It could always be a "big" Tuner!!! Australia be the one to hint at a major new Korg (maybe workstation) release. Australia is certainly one of the less profitable areas in the world, at least for this sort of market. Anyways, we will find out soon. And it has to float on water.